A while ago I placed a Lottie London order on Superdrug. Before this I had only tried their liquid lipstick do I decided to order a few things included some blushers, concealer, highlighter palette and more. 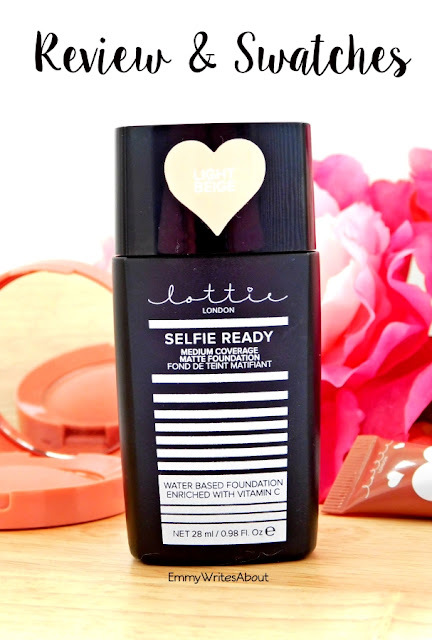 One product I was intrigued to try was the Selfie Ready Foundation. I currently own 30 foundations but I couldn't help but add this foundation to my collection. 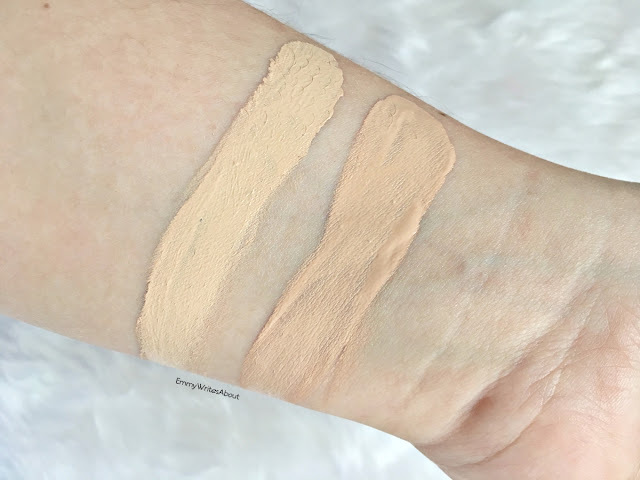 Most of my foundations are high end as I can't find many drugstore ones that work well on me or last all day due to my oily/Combination skin. I will be honest and say at first I didn't have high hopes for this foundation as it only retails for £6.95 but lets just say I was completley wrong! The foundation claims to be a water based foundation that is enriched with Vitamin C and has a matte finish with medium coverage. I have tried this numerous times with both a brush and a sponge and the finish comes out pretty much the same. It is definitely medium coverage, it does dry matte but when I pressed my fingers against it, it does slightly transfer so you do need to set it with a powder. I always set my foundations with a powder as I get extremely oily on the outer corners of my nose and on my chin. I was really impressed at how flawless this looked on my skin, my skin is pretty clear and I have freckles across my cheeks and nose. The foundation lets me freckles ever so slightly show through which I quite like at the moment. I have worn this for upto 10 hours and even at the end of the day it still looked exactly like how I applied it in the morning. I didn't need to touch up or blot at all which is very rare for me. On small dry patches I have this didn't cling to them at all. Overall I have never been so wowed by a drugstore foundation! This is now one of my most worn foundations. The shade selection includes 10 shades ranging from pale shades upto shades for dark skintones. This is rare for drugstores as they don't often cater towards dark skin tones but Lottie London does! I have the third lightest shade Light Beige which is pink toned. They also do shades which are more yellow toned. 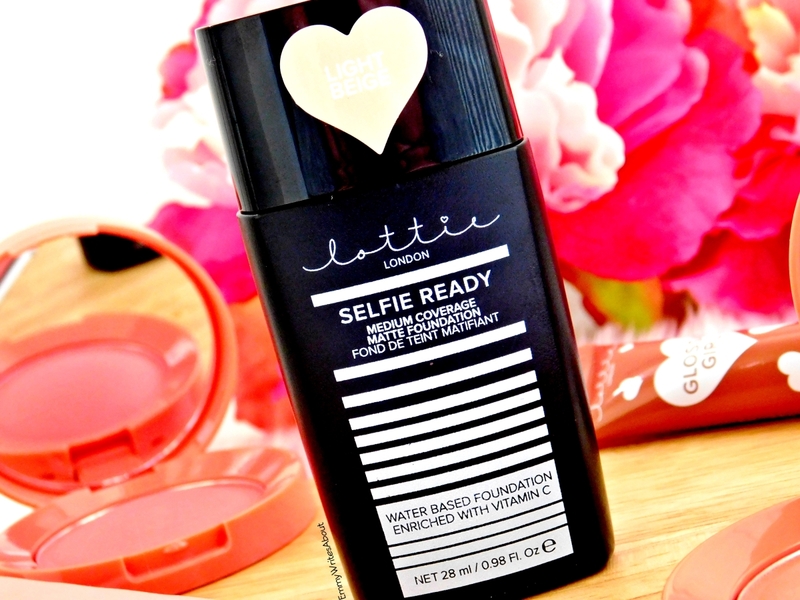 I have also got the Lottie London Got It Covered Concealer which has also impressed me. It is medium to full coverage and it doesn't crease. Next on my list is the All About That Base Matte Foundation Stick, have you tried it?